The beauty industry is wide and filled with so many new innovations. There are so many new discoveries every day and the consumers are always getting something new to explore. The Nutri cosmetics industry is growing fast due to the changing needs and demands of the consumers. 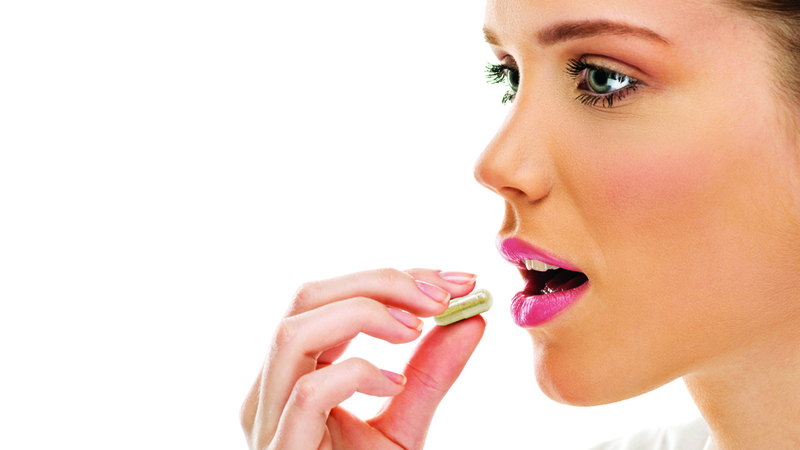 The word Nutricosmetics is made of two words- Nutraceuticals and Cosmeceuticals. Nutricosmetics caters to the needs of the skin, hair and nails through products which are edible. The products come in various sizes and categories and are said to provide and abide by the concept of providing beauty from within. The Indian beauty industry has been expanding at a good rate and has always supported scope in it. Nutricosmetics market has evolved and has added to the growth rate of the beauty industry. The market of Nutri cosmetics is expected to reach the US $ 7.5 billion by 2024. The market shows a lot of potentials and has been attracting many new and existing names to join and contribute to the overall upliftment of the beauty industry. The product sector in Nutri cosmetics market is providing many choices to the consumer which is also a reason that is providing a boost to both the industries. According to a report by Global Industry Analysts (GIA) titled Nutricosmetics- A Global Strategic Business Report, the nutricosmet8ics market is expected to touch $4.24 billion by 2017. Hair and skin are the two most visible parts of the human anatomy and go a long way in developing a person’s prestige and confidence, says Dr Apoorv Shah, Owner, Richfeel Trichology Centre. The Nutri cosmetics market is seeing a rise in competition. There have been many good names in the Nutri cosmetics market, the major international players are BASF SE, Frutels LLC, Functionalab, Frutarom Industries Ltd. etc. In India, brands like Dabur, Amway, Ranbaxy Lab etc are doing well and have provided some great products to the consumers. The Nutri cosmetics has products under various categories and segments. Under product type, the market is divided into supplements and beauty drinks while under primary function, it is divided between skin care, weight management, hair and nail care and multi-function. Supplements and skin care have been leading the market with a high rate of demand from the consumer’s side. The market is also segmented under distribution channels which comprise of modern trade, speciality stores, pharmacy stores, beauty and health stores and e-commerce. Pharmacy stores have been the leading the distribution channels of the Nutri cosmetics market while beauty and health stores are expected to attain leading growth rate by 2025. The Nutri cosmetics market has been doing well in the Indian market. Beauty has always been a matter of concern among the consumers and Nutri cosmetics market sorts that out in the form of product which is edible. They provide an easy way to the consumers to reach their desired beauty goal. Geographically, Europe has been leading the Nutri cosmetics market due to high penetration rate. Consumers are now much aware and know the benefits derived from these products. India shows a huge scope in terms of Nutri cosmetics market and many big names in the Nutri cosmetics market which are serving the Indian consumers have experienced growth and expansion due to the increasing demands for these products among the Indian market. So, the Indian nutraceuticals market seems to show a huge scope for both the existing brands and the ones which are fresh in this huge market. The Indian beauty industry has been growing and has also inspired many new trends. It has given birth to many new industries and segments which have experienced growth within a short period of time. The nutraceuticals market seems to provide a huge area for the Indian companies to venture into and the consumers to explore. With a wide variety of segments and differentiation to make a mark into, the nutricosmetics market is expected to grow exponentially and do well in the Indian consumer market.